My first internship in South America was an experience I will never forget. 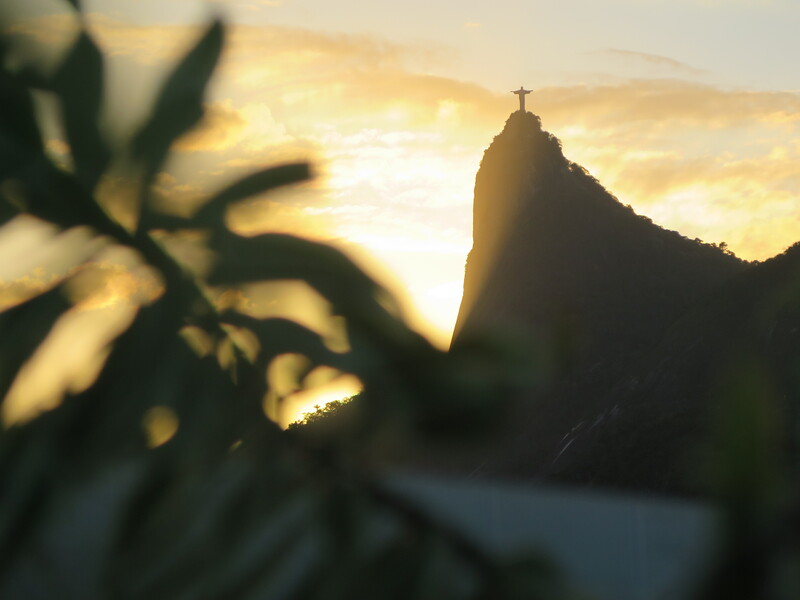 In a few days in Rio I’ve been into a world of contrast. From rich to poor and from violence to love. 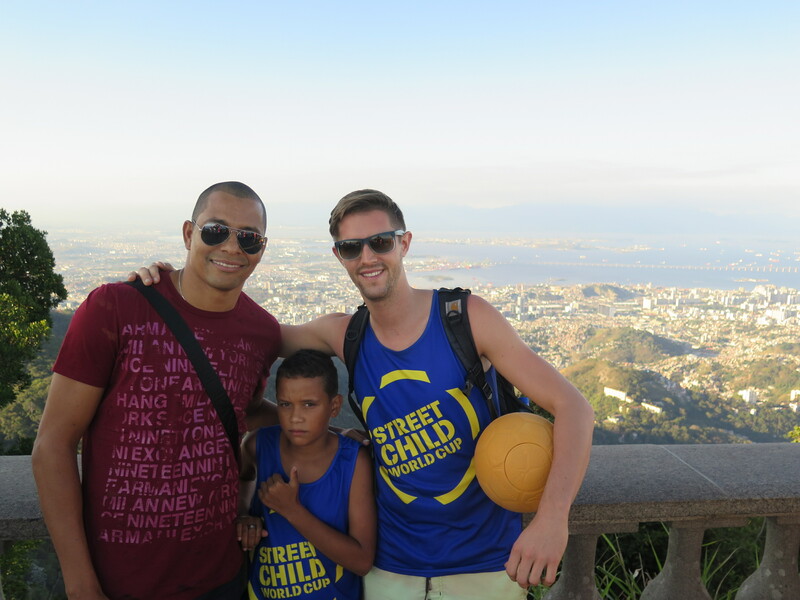 When I arrived in Rio I met up with the Director of Communications of Street Child World Cup; Joe Hewitt. Both the weather and his smile gave me a warm welcome at Copacabana beach. 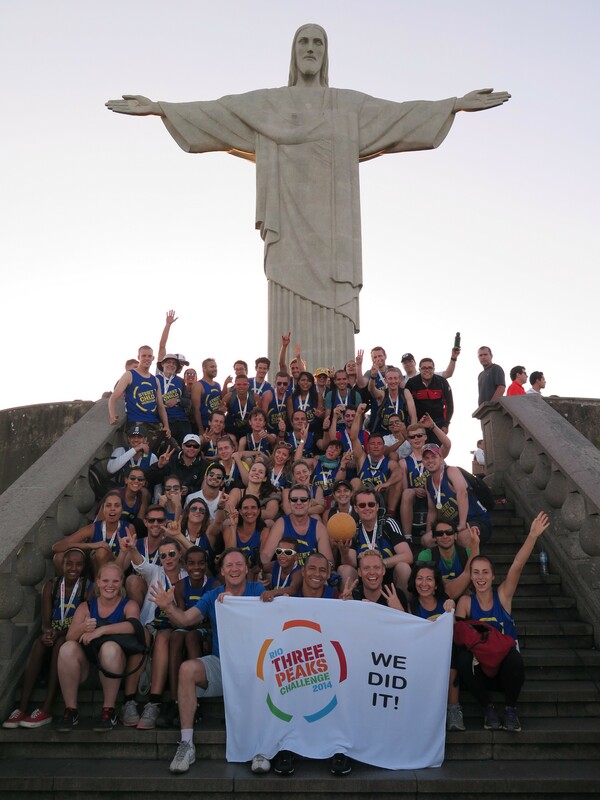 After some chats and a stroll around the area we took a cab to meet up with the crew who was going to climb 3 massive peaks in Rio, raising money and awareness for the rights of street children worldwide. We had an amazing view over Rio and saw the sun slowly crawling behind Corcovado (you might recognize a little world wonder on top of it). The next morning we had to wake up veeeery early. For a reason of course, since we wanted to climb 3 peaks in 12 hours. 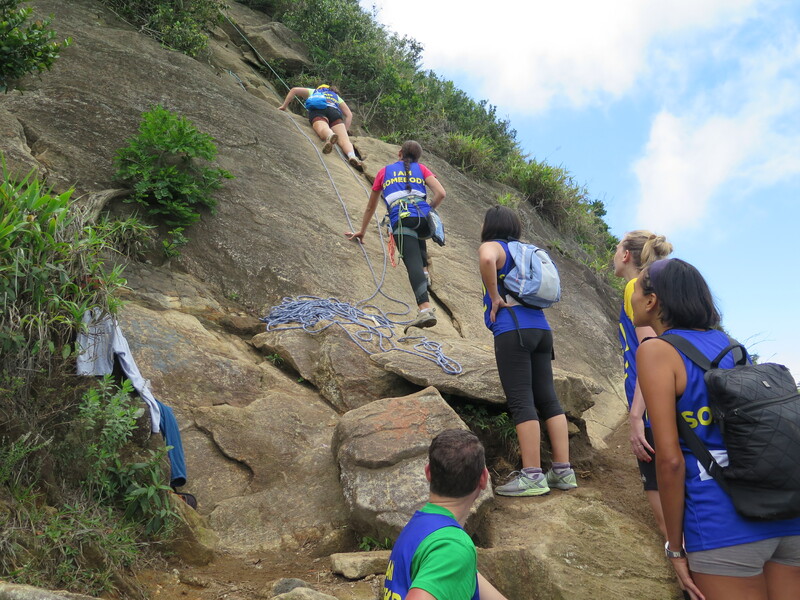 We started with the roughest one, Pedra da Gávea. Most of the trail was like other hikes I did in Peru, Thailand, England and other places, but at halfway point I was up for a new challenge as well. We had to climb, almost vertical, for about 50 meters. I felt confident and chose to climb without a rope (sorry mom) while some others wanted to have the security. When I managed to get up it gave me a big adrenaline kick. That feeling came back when we reached the top of the first peak. What an incredible view! 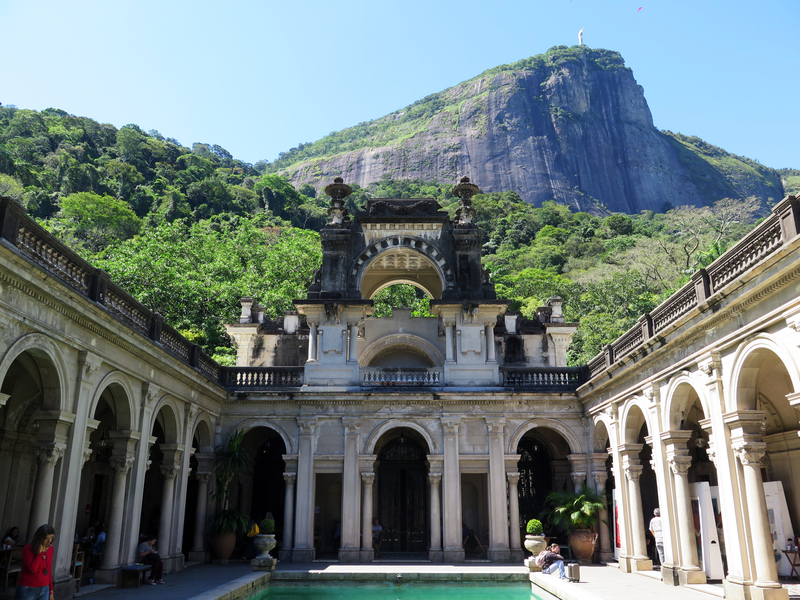 On my second day in Rio I already fell in love with the city, it’s just mind-blowing. Because we were group number 3 we had to wait for everyone to climb down. This took so long that we couldn’t climb ‘Dois Irmãos’, the second peak that day. Some people were a bit upset about but I was okay with it. The bus driver took us to the start of the last peak, Corcovado. Here we had some lunch at the house where that ‘beautiful’ video from Snoop Dogg and Pharrell was recorded. When the whole crew was ready we began our climb. For this one we got more companionship. My Dutch friend Rocky Hehakaija from Favela Street joined with 3 girls from the favelas, where she had been working with. It was a fun climb with some challenges here and there but in the end we all made it to the top. 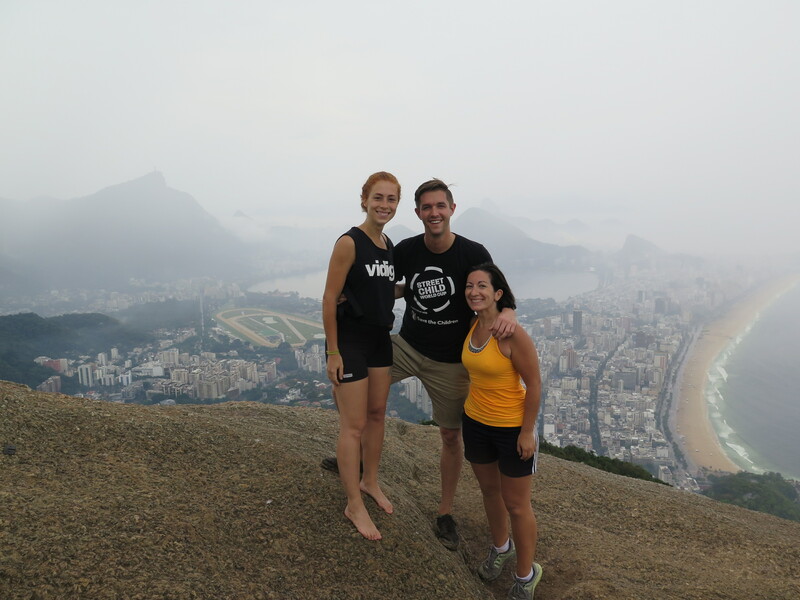 Here we had another amazing view over Rio. Under the eyes of Cristo Redentor I met up with one of Street Child World Cup’s ambassadors, Arsenal legend and World Cup Winner Gilberto Silva. 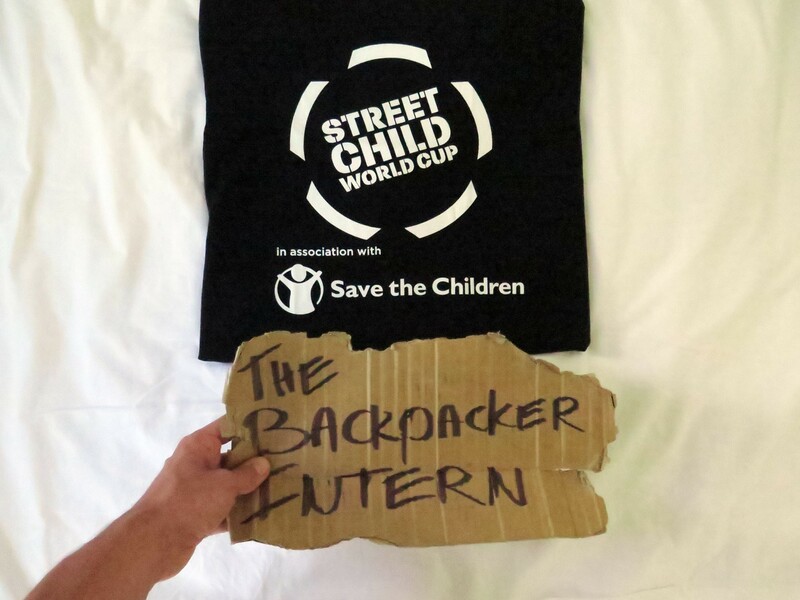 After some talks and pictures the Street Child World Cup crew completely took over the world wonder. Biggest photo bomb ever ;). During the challenge I shot a lot of footage with my camera. I’m still working on a film showing the highlights of the day and will post it soon. The rest of my days I worked on the film and stayed a Joe’s place, close by Copacabana. Joe had another guest, who was another Jo, but in this case it was a woman. Jo Griffin is a journalist from the UK who writes for The Guardian and was planning to write an article about the favelas. I immediately had a great connection with her. That connection became even better when we had the opportunity to visit one of the unpacified favelas together. Normally a no-go area for gringo’s like us. A lot of people turn into crime because of the lack of education and opportunities, so it can be a dangerous place. Luckily we got in touch with Nanko van Buuren, the founder of IBISS. He’s been working in the favelas for more than 25 years and gives kids, families and (ex-) drug traffickers new perspectives and hope in life. Our meeting with Nanko was at 2 PM at a restaurant. I noticed that Jo was a bit nervous. Me too but to make her feel better I said: “Don’t worry, we’ll be fine.”. Nanko picked us up with his car and we drove to Villa Aliança. When I asked if we were allowed to make pictures Nanko calmly responded; “Only if you want a gun on your head.”. I wasn’t really looking forward to that scenario so made sure that my camera was deep into my bag. I was excited and a bit nervous. In a strange way it felt a bit like when I was a kid, on our way to Disneyland. In this case we were heading to Villa Aliança, an unpacified favela, where people don’t wear Micky Mouse suits but automatic riffles, knives, glocks and Kalashnikovs. When we arrived in the middle of the favela Nanko stopped the car at a little square. There was a bar and next to it a little river with a lot of dumped trash. On every corner I saw at least one person with a weapon. Most of them didn’t wear a shirt. I wasn’t sure if it was safe but since we were with Nanko I just trusted my gut and stepped out. The bar was playing local samba and the 12 speakers did their work; we almost couldn’t hear each other. Nanko took a seat outside on the plastic chairs and nodded that we could join. The first minutes nobody talked and it felt really weird. Then we were welcomed by the locals, all of them came by with a big smile and gave us the Brazilian handshake (clap and bump) saying: ‘Tudo bem?”. I replied: “Tudo bom”. Then we started with drinking beer. During the whole day I never had an empty glass. 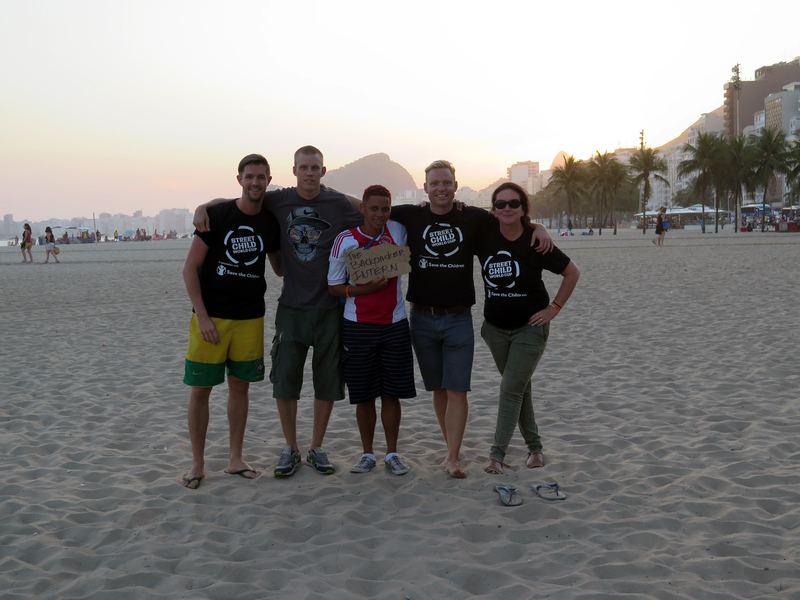 We were chatting with the guys about their lives in the favelas and some of the stories were just unreal. One of them lost his 3-year-old daughter in a gunfire with the police. When I looked into his eyes I saw a broken man. The most surreal moment was when we were chatting with them and a new person arrived. We were already surrounded by 5 guys who were all carrying a weapon but this guy was something different. He was darker skinned with some tattoo’s, on his neck he was carrying a machinegun, on his belt he had 4 knives, in his hand he had a glock. When he came and sat down at our table he just put a grenade on the table…Yes, a grenade. Jo and I were both looking at it. After that we looked each other in the eyes. We didn’t spoke a word but we could both read each other’s minds. I gave her a wink and smiled. In a strange way I was extremely calm, I was thinking: “Okay, there’s a grenade on the table. Sure, why not”. When we asked the guy why he was carrying a grenade he looked very serious and said: “When the police comes, it will explode them…”. But it was not about guns and violence the whole day. Not at all. I played football with some of the kids; we talked about the positive changes that IBISS makes and were also just joking around together. Above is a picture (we were allowed to make this one) with Nanko, Jo and yours truly. 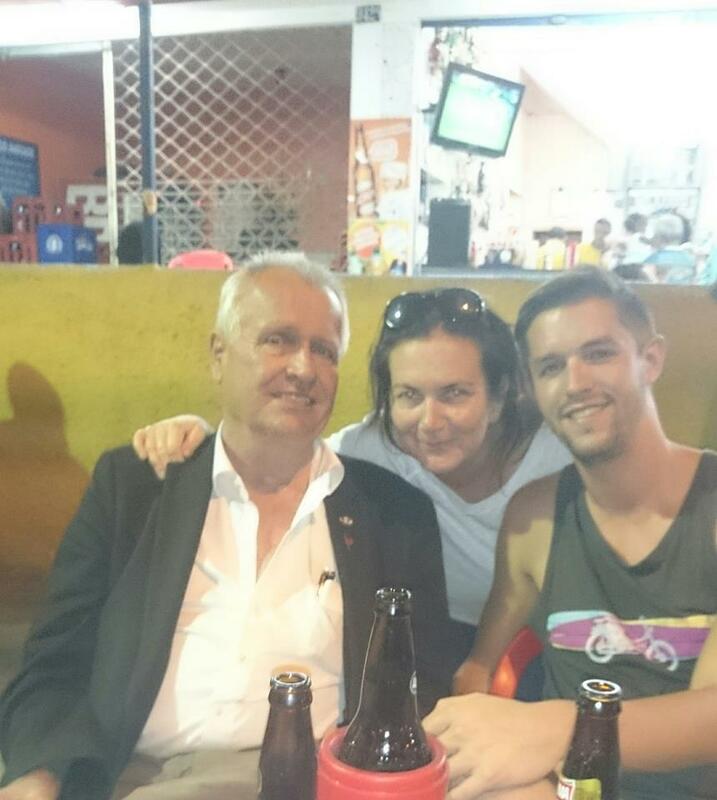 After this intense day (and muito cerveja, <burp>), Jo and I took the metro back to Copacabana. We couldn’t stop talking about the whole day and even stepped out at the wrong station, twice. But it made our friendship even stronger. I will never forget this day. 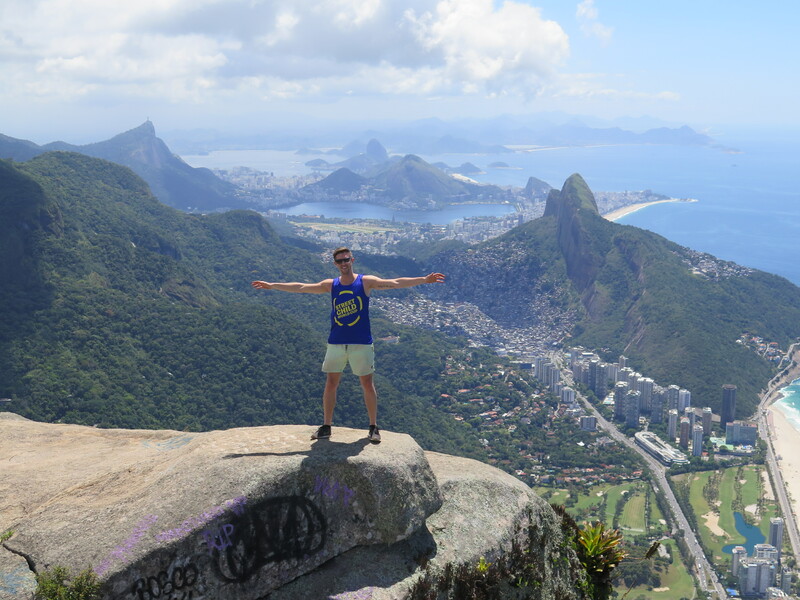 It’s kind of a long post already but I’m not finished with my Rio experience yet. I’ve two more stories that I want to share with you guys. I’ll keep ‘m short. Since I couldn’t climb the 2nd Peak during the challenge I still wanted to do it. Together with Elisa and Francesca from Street Child World Cup we were ready to tackle ‘Dois Irmãos‘ as well. When we wanted to walk up we saw 20 people rapidly coming down. They all looked terrified and said: “don’t go up!”. Apparently there was some kind of crazy guy on the trail who just robbed all of them. Camera’s, phones, money, it was all gone. Looking at those faces were 20 reasons for me to not climb that peak. Elisa had different thoughts. She is Brazilian and said: “yeah I think we can just go up”. I responded: “Are you crazy?” But then Elisa walked to the police and asked them if we could climb up with them. The police told her that we could go if we stay 5 minutes behind them. Luckily we made it safely to the top and down again. On one of my final days in Rio I had a meeting with my new friend Philip Veldhuis. Philip is the founder of Favela Street, an incredible project where he uses the power of football to get kids out of the drug trafficking. We met up in the middle of Complexo da Penha, another favela in Rio. After a quick lunch we headed to the football field for the training. Philip does this a few times a week but for this day he had a great surprise for the kids. He brought 3 of his friends who are barbers. Unfortunately there was no power and water at the football field so we needed to find a solution. We found a bar with an open space. Within 5 minutes we transformed the bar into a barbershop. 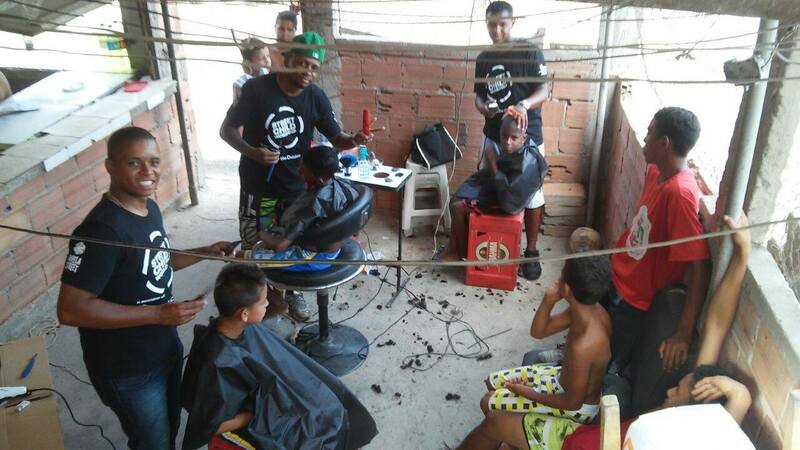 On one day more than 60 kids got a free, and fresh new haircut. They all looked like Cristiano Ronaldo afterwards. Not with the awkward eyebrows though. We topped of the day with a great game of football. After that I went to the local family where Philip was staying. The mom made some delicious diner and I slept one night at their house in the favelas. Joe, Jo, Rocky, Philip, Elisa, Jessica, Nanko and the rest of the great people I met, Muito Obrigado for this incredible experience. Can’t wait for Rio 2016 to meet up again!